On June 6, 2018, Fives signed a cooperation contract with Guangxi Construction Engineering Group, a major Chinese turnkey contractor active in various sectors (construction, petrochemicals, energy, etc.). 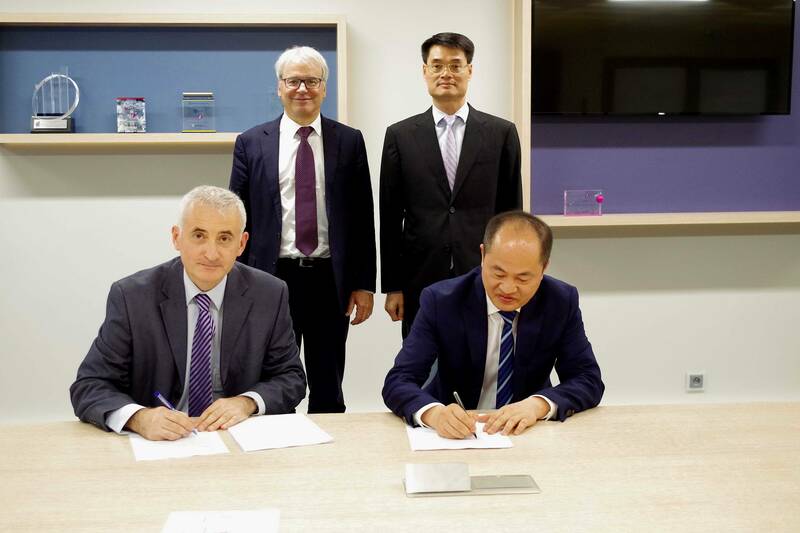 This event was celebrated with Mr. Ningyun Jin and Mr. Nongsheng Tang, respectively Chairman and Deputy CEO of Guangxi Construction Engineering Group, Mr. Frédéric Sanchez, Chairman of Fives Executive Board, and Mr. Christophe Pelletan, CEO of Fives Cail, a Group company specializing in designing and building sugar production equipment and services. Within the scope of this 12-year contract, Fives will supply several sugar mills, vital equipment in sugar plants, and services related to their installation, commissioning and maintenance. The group will also provide technical assistance to implement the new workshop built by its Chinese partner.